Dining on South William St you will never be short on choice, however finding a “grown up” venue can be a bit more of a challenge. Those of you who remember The Lost Society will know it wasn’t exactly the place to go for a quiet drink. Towards its demise in its last few months it had become know as more of a club attracting the student brigade seeking out a Wednesday night drinks promotion. Thankfully, gone are the strobe lighting and white walls, instead The Mercantile Group, who are at this stage well versed to renovating great spaces and creating a unique venue people will flock to, have done a 360 on the venue creating a destination for indulgence. Don’t expect to see Jaegerbombs and Red Bull being downed. Instead you will find a series of slick, seductive rooms designed to draw in the real cocktail lovers and embody old world charm and the real history behind the striking architecture of the Powerscourt Townhouse. Muted colours schemes and eye catching artwork adorn the walls which will no doubt lend itself to many an insta moment. However we were not here for the cocktails but for their newly launched, New York Italian inspired restaurant, La Cucina which had just opened two days earlier. 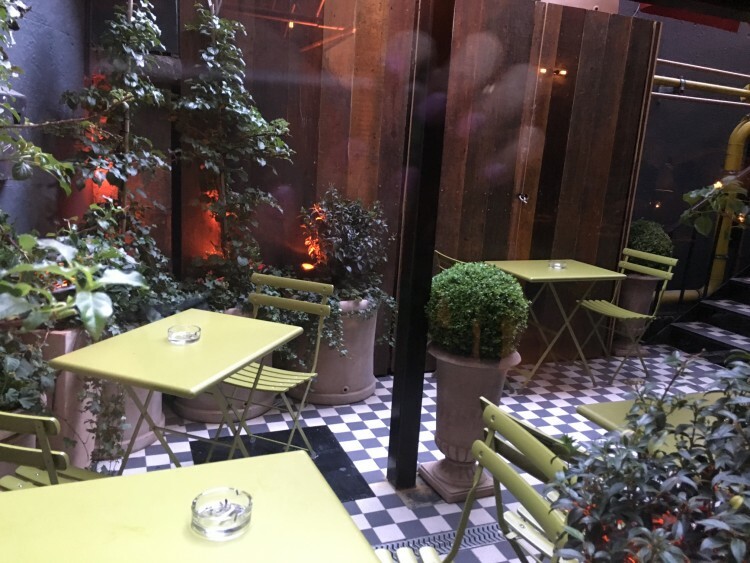 Set in the basement, which is hard to miss due to the red canopy leading you down to an intimate little outdoor terrace, it is hard to believe it was once a packed dance floor. La Cuncina has been utterly transformed with ceilings recessed and paired back to show off the original brickwork, while copper lighting and tanned leather seating give an up-market feel but still manage to maintain a cosy feel. 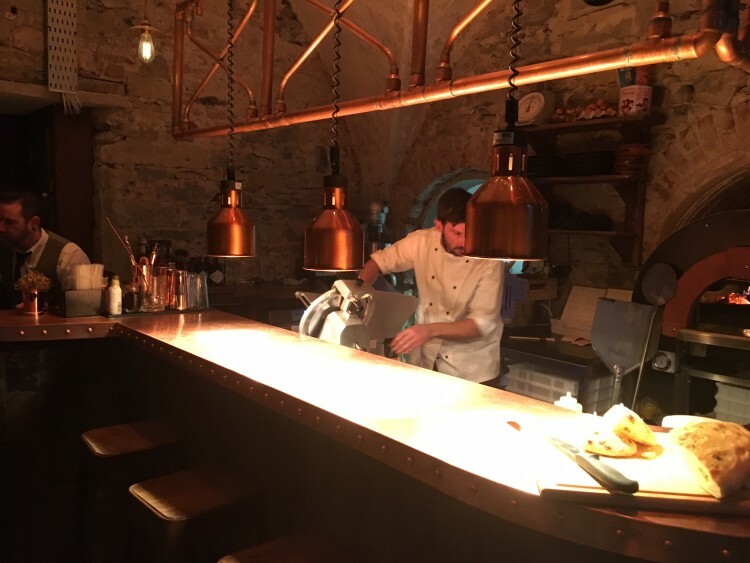 An open kitchen which houses a huge wood fired oven is one of the first things you will notice, that and the Italian head chef Riccardo Grande clapping his hands to signal each order is ready to leave the pass. 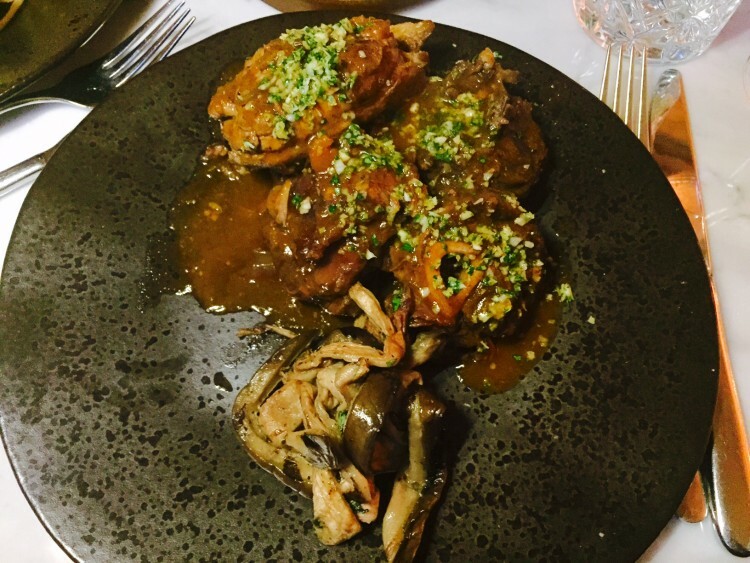 Originally from Rome and previously of one of Dublin’s most high profile Italian restaurants Il Primo, it is clear that La Cucina is serious about creating an authentic Italian experience. The menu is all á la carte, but we expert to see an early bird added shortly and consisted of a mixture of small (but generously portioned) plates such as Arancini (€7.50), Prosciutto (€8.50) and Bresaola (€9.50) alongside some Italian classics such as Butter Poached Prawn Rissotto (€18.50) and Slow Braised Osso Bucco (€24). All the focaccias are baked fresh in house everyday and are a must to sample. 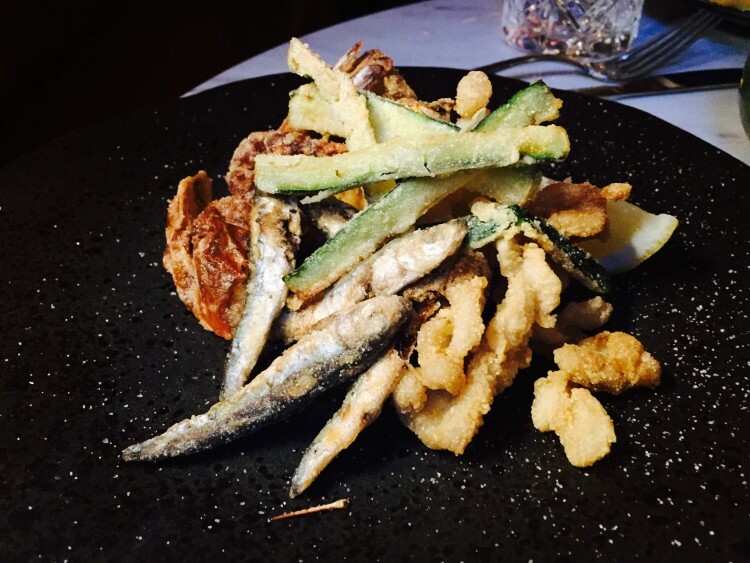 We began with a rustic plate of Fritto Misto (€9.50) stacked high with little morsels of white bait and lightly coated zucchini strips, prawn, calamari, they say you can never expect to get the same plate of Fritto Misto twice but we would gladly seek this one out again. 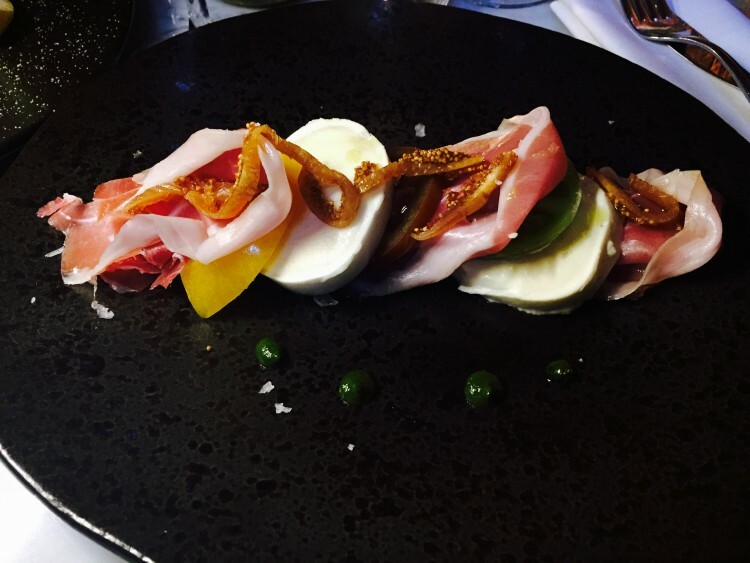 A second starter of Prosciutto (€8.50) was equally as pleasing, discs of sweet heirloom tomatoes helped prop up the thick Buffalo mozzarella which was lightly drizzled in a sweet fig preserve, which paired like a dream with our nicely balanced bottle of Honoré De Berticot Sauvignon Blanc(€29). There is also a good selection of wines by the glass, ranging from €7 to €10 which is always welcomed. 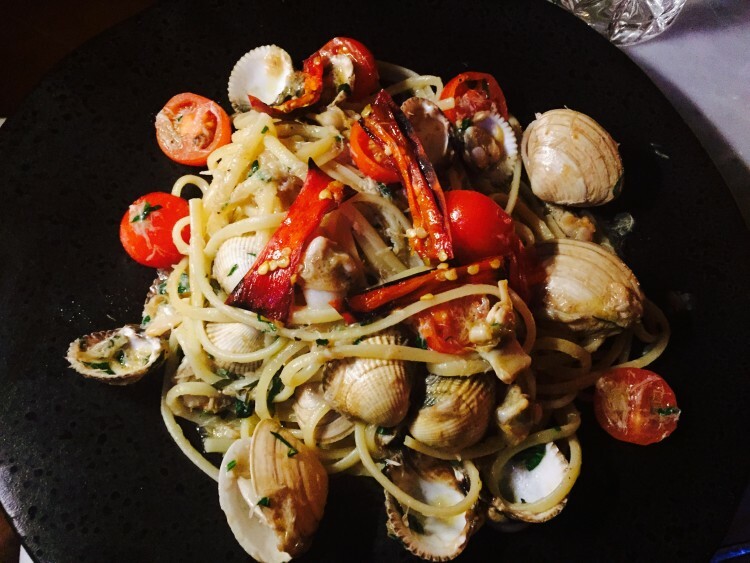 A good Seafood Linguine (€19.50) is a probably one of the best measures of an authentic Italian and this one is well up there with some of the finest we have sampled. No fuss, no arty plating just a dish that lets the flavours do all the talking. At €24 the slow braised Osso Bucco encompasses all that is good about Italian cuisine, this traditional Milanese dish arrived with little mountains of lamb that just fell from the bone with the slightest tickle form the fork. Dressed with meaty roasted aubergine and lightly garnished with some zesty gremolata, this alternative to veal worked beautifully with each element. 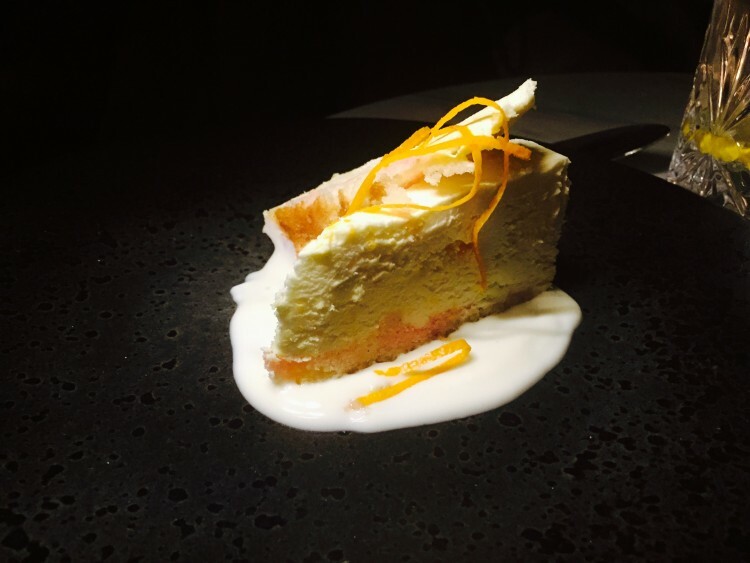 Desserts continued the authentic theme, with the Semifreddo with Blood Orange Curd (€7) calling our name, we tucked into this unusual textured, semi frozen treat and mopped up the white chocolate yogurt beneath like it was going out of fashion. All in all we were more than pleasantly surprised with the value for money and quality of the food on offer at La Cucina, with Clinton White who previously managed Opium and more recently Pichet at the helm it is clear to see that although only open two days they have a strong team in place who know how to look after you just like mama would! This is an Authentic Taste we would highly recommend.